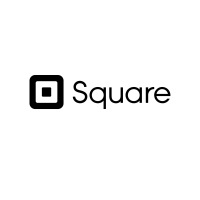 Square, Inc. (NYSE: SQ) announced today that Amrita Ahuja will join the company as Chief Financial Officer. Amrita will start in January and will report to CEO Jack Dorsey. Amrita is currently the CFO of Blizzard Entertainment, a leading global developer and publisher of interactive software products and entertainment content with over $2 billion in annualized revenue and a division of Activision Blizzard (NASDAQ: ATVI). Amrita has been with Activision Blizzard for over eight years in a number of finance and strategy roles across the company, including SVP of Investor Relations, VP of Finance and Operations, and VP of Strategy and Business Development. Prior to Activision Blizzard, she held various roles at Fox Networks Group, the Walt Disney Company, and Morgan Stanley. She received her M.B.A. from Harvard Business School and her A.B. from Duke University.